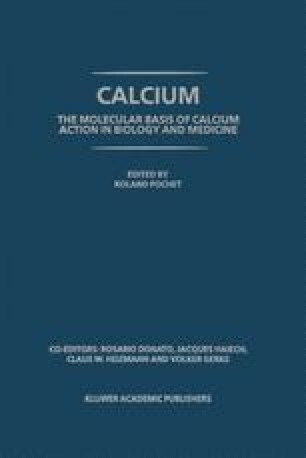 Among the multiple systems that become operative during the mitogenic activation of a cell there is an early signal mediated by calcium. Thus, the cytosolic concentration of this ubiquitous second messenger tarnsiently increases when a variety of mitogenic receptors that belong to the superfamily of receptors with tyrosine kinase activity are activated by their ligans (Rozengurt, 1986). Among these receptors is the epidermal growth factor receptor (EGFR/ErbB1), a 170 kDa plasma membrane glycoprotein that, alike other related members of the ErbB family, is involved in proliferation, differentation and even the control of apoptotic processes (Carpenter, 1987; Ullrich and Schlessinger, 1990; Alroy and Yarden, 1997). In this review we will analyze how the EGFR generates the calcium signal, the subsequent activation of diverse Ca2+-dependent systems, and the role that these systems play on the regulation and fate of the receptor.